Who needs CG when you can blow things up for real? 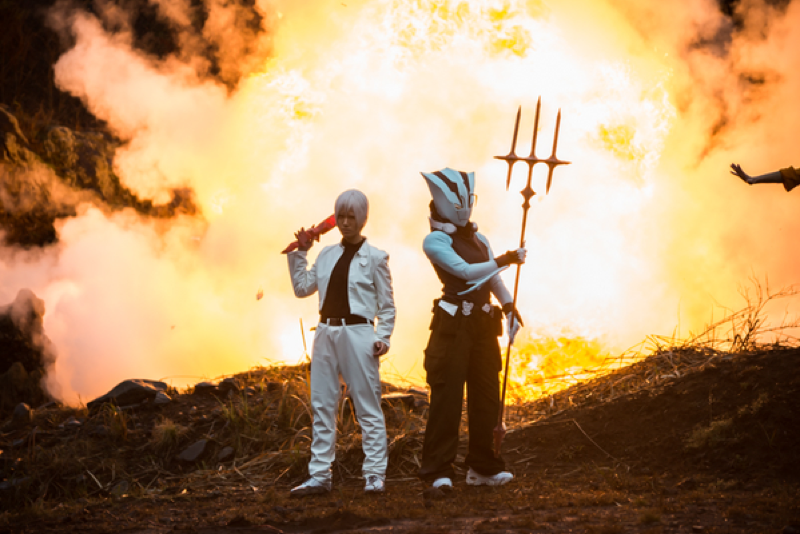 Japanese Cosplay site Cosnavi introduces an upcoming “blast photography” event that is limited to a hundred participants and lots and lots of explosions. According to IT Media, this time the event will take place on March 19 and March 20 at Mt. Iwafune in Tochigi Prefecture, an area often used in the Super Sentai (aka Power Ranger-type) TV shows. There are other options, such as a “fire photography” for another 5,000 yen (~$42) per person and torch pictures, which are 1,000 yen (~8$) per torch. Here’s a behind-the-scenes look at the fire photography option. Below is the kind of work talented cosplayers and photographers can produce. Not sure how safe this is, but the organizers have held similar events in the past and nobody has apparently gotten hurt. Hope future events will be as successful and safe. For more cool cosplay photos, check out the Twitter sites of saisai0322, teikoku_banzai, m_psycho666, yk8731, gingareina as well as of the organizer, cosnavi1.